Ronald Regan Building and International Trade Center, Washington, D.C. 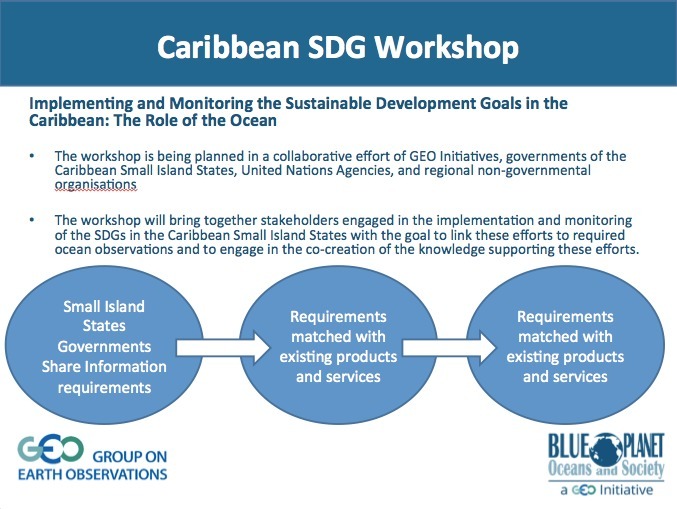 This event served as forum for a discussion between representatives of various Small Island States and developing countries (SIS+DC), Participating Organizations (POs) and GEO activities that have an interest in supporting Earth Observation (EO)-related information needs in SIS+DC that are associated with the 2030 Agenda. The event provided an opportunity to pinpoint challenges for EO in these regions and to identify and form partnerships to address these challenges. A particular focus was on the role of the ocean for the SDGs and the information needs related to the ocean. 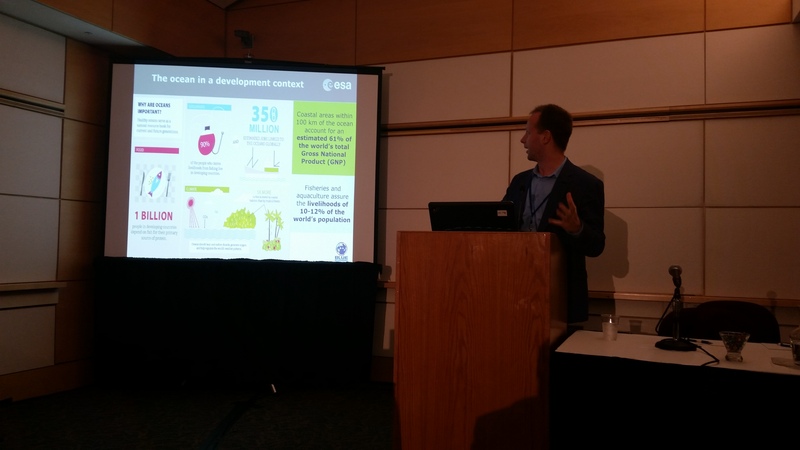 During the event, GEO Blue Planet and other relevant GEO groups and POs presented ongoing and proposed projects related to monitoring in SIS+DC to facilitate information sharing between the representatives of the SIS+DC and the global community. Following the presentations, a panel with SIS+DC representatives discussed the presentations and provide feedback on how these projects could support the efforts to implement and monitor SDGs in the SIS+DC. 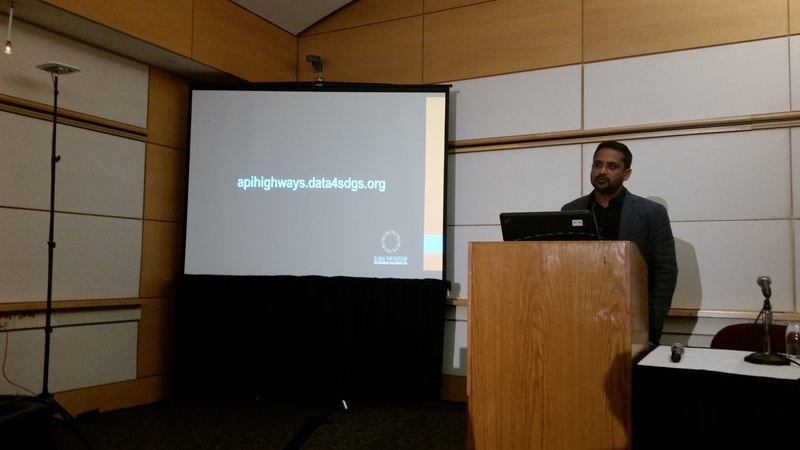 Aditya Agrawal informed about the efforts of the Global Partnership for Sustainable Development Data (GPSDD) and mentioned the highway for APIs. Aditya Agrawal discusses a toolbox developed by GPSDD. 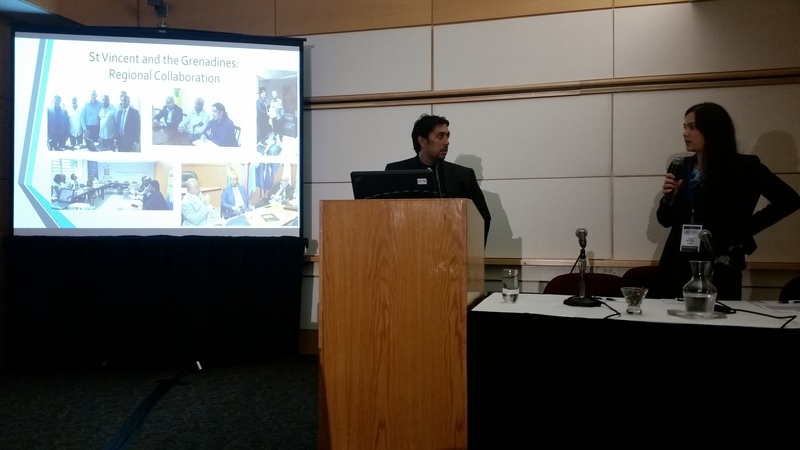 Jai Rampersad gave an overview of the efforts in Saint Vincent and the Grenadines on SDG implementation. 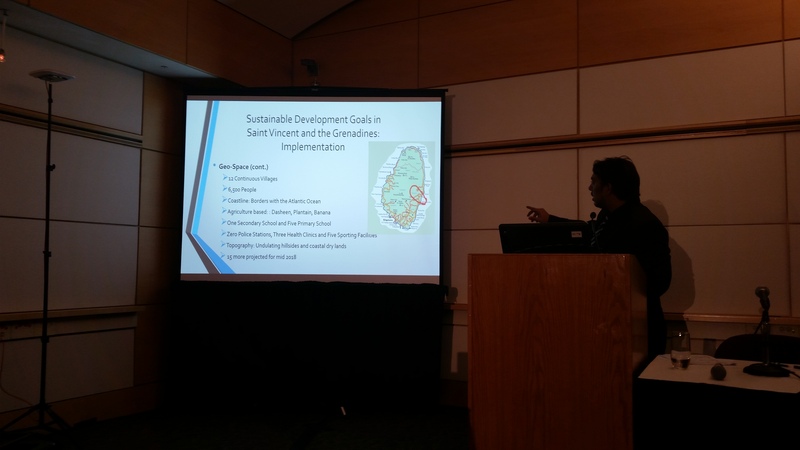 Jai Rampersad explained the concept of a geospace for SDG implementation in Saint Vincent and the Grenadines. Sophie Seeyave and Jai Rampersad discuss the collaborations in the Caribbean aiming at SDG implementation. 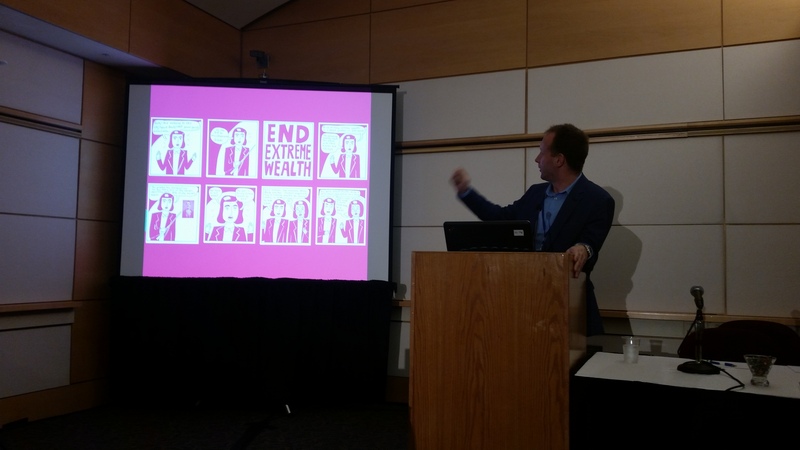 Hans-Peter Plag discussed the interference of different SDGs. Hans-Peter Plag pointed out that "Responsible Procreation" should have been included as a separate goal in the list of the SDGs. Sophie Seeyave informed about the GEO Blue Planet Initiative and introduced the Saint Vincent Workshop as a template for future Blue Planet workshops linking to users and societal stakeholders. 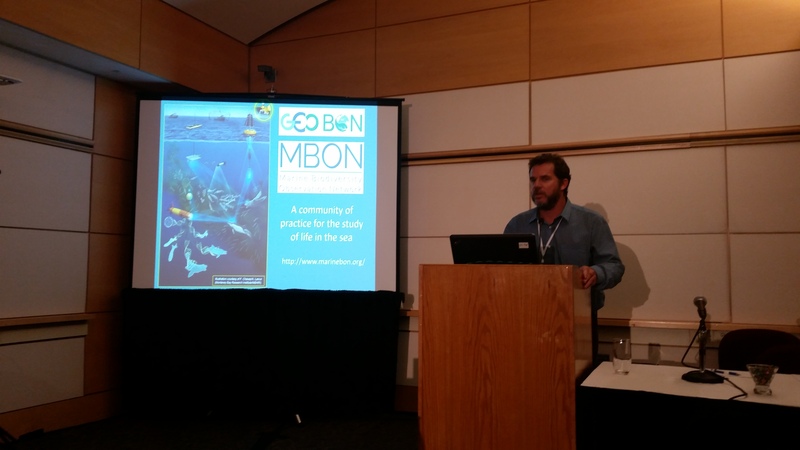 Enrique Montes Herrera reported on efforts of MBON in the Caribbean. Christoph Aubrecht started his presentation on the Blue economy with a joke. 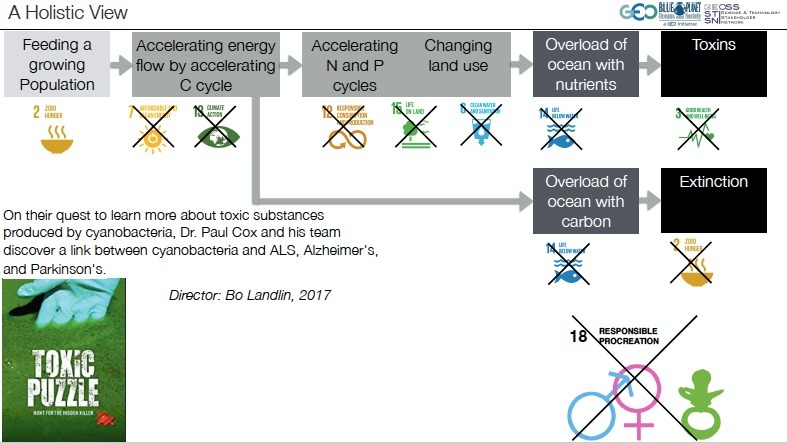 Christoph Aubrecht also emphasized the importance of the ocean in the development context.